​Perhaps the most controversial topic in Major League Baseball right now is whether known steroid users should be allowed in the Hall of Fame. In the eyes of San Francisco Giants legend and Hall of Famer Willie McCovey, they should be. More specifically, Barry Bonds should be. After a ​letter by Joe Morgan was sent out to the voters by the Hall of Fame imploring them to leave steroid users off their ballots, McCovey had some words for his peer. McCovey's argument is mainly in support of Bonds, because "it's a sin he's not in there". "That letter Morgan wrote sure is not going to help Barry,” McCovey said, “but I’m glad to hear a lot of the writers say the letter is not going to influence their vote because I know a lot of it is aimed at him. I wasn’t too happy about it. It's good to see that Willie McCovey said out loud what a lot of players say privately: That players (in his generation and others) took greenies to get on the field. https://t.co/UirZSfmM1L PEDs were around and used before Bonds and Clemens were even born. Barry Bonds is one of the most polarizing figures in sports. People either love him or hate him. In the eyes of many, he's the greatest hitter who ever lived. The rest of the world thinks he's a human asterisk on the legacy of the game. Willie McCovey falls in the first grouping, and when asked why Bonds deserves to be immortalized in Cooperstown he said "Do I have to answer that? You talk to anybody who played against him at that time, they’ll say he was the best hitter they ever saw in their lives. Those are his peers talking." 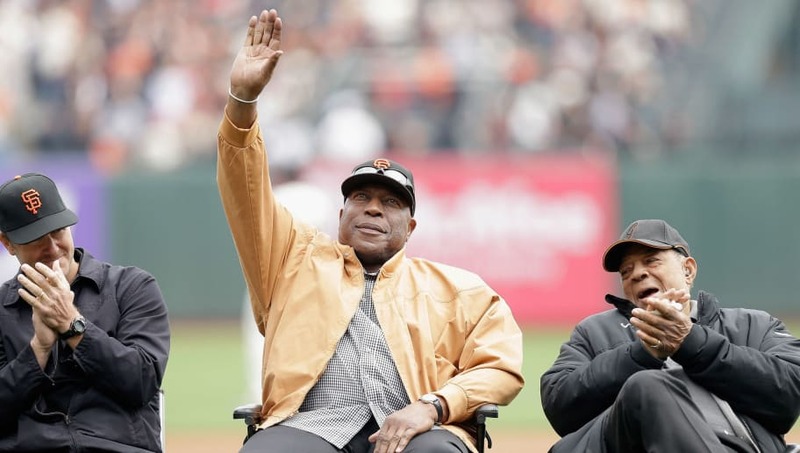 McCovey is good friends with Joe Morgan, but they couldn't disagree more about Bonds. We will have to wait and see, but it looks as though Bonds is creeping up on being inducted.